It’s that time of year again! Time to pack up and move out for the summer. With the stress of finals and last hang out sessions before you and your friends all depart campus, it is really stressful packing up all your things. You will be tempted to just throw everything into boxes–like really tempted–but future you will have to deal with the aftermath, and you know future you already hates you enough. Here are some tips for how to pack smartly and save yourself time and effort for when you have to move back in the fall. 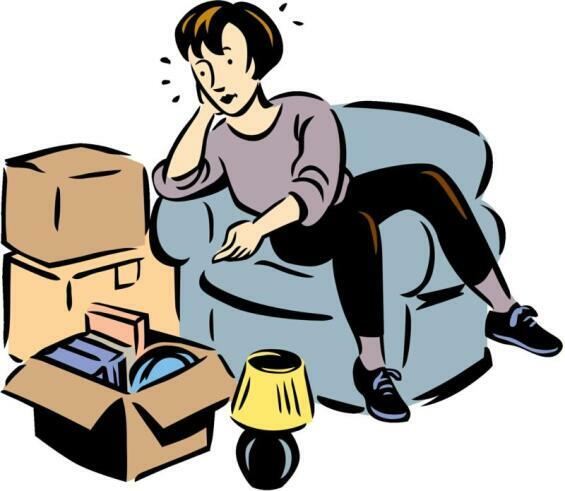 Plan out your boxes: Whether you are packing up an apartment or a dorm, it will help you to label boxes and decide what will go where, like “kitchen” or “desk supplies,” etc. Yes, this will take slightly more effort than just stuffing everything into a box, but it will be worth it later. Max Meyer, a second year business management economics student at UC Santa Cruz, said “I usually just throw everything in because I’m so ready to get home, but I really regret it later.” Planning out what is going in which box will keep stress down, since everything will already be organized, and will make moving back a cinch. Here are some packing tips for how you should pack certain items from Dorm Room Movers. This is very important to keep in mind; you don’t want any of your stuff to break! What’s inside? : Once you have planned out what the categories of your boxes are, start making a list of what you are actually putting into the box. This will definitely help when you are moving back up, because you won’t have to reopen every single box to make sure you have everything. You can simply go down the list and see that it’s all there. This will also help if you need to find something fast. Instead of getting paranoid going through each box, wondering if something somehow got lost in the moving process, you’ll have the reassurance that it’s there. This also comes in handy if you are going to have a new roommate and you want to see what the two of you already have so you don’t bring double, and what you still need to get. This is a wonderful idea, especially since space is always limited and you accumulate so many things over the course of the year. You know those rain boots that you have “just in case” but have never actually worn? They are just taking up space, so you might as well leave them at home. You’re going to be a list making pro after this–just don’t lose the lists! In addition to this, you want to start making a list of things you will need to purchase. I know you don’t even want to think about the next school year, but if you wait until summer is almost over to think about what you still need to get, you are going to forget, trust me. If you do it right then and there, where you can see all your things, you will be way more likely to actually think of the exact things that you were missing. Having a list handy also means you don’t have to make a mad dash to IKEA at the last second, because you can slowly accumulate the things over summer and cross them off your list as you go. Here’s a list of college essentials to help refresh your memory as well. To open or not? : Once you have packed everything away, you should mark on the box whether you are going to be needing it over summer, or if it can go straight into the garage or wherever you are storing it and stay unopened. For example, if you have a box of kitchen stuff, you might as well leave it closed and neatly packed. This will save packing time for future you, and will ensure that all the essential things you need will be going back to school with you. Clean out that closet: Clothes are a big space hogger, so as you are packing, why not sort out the clothes you know you don’t wear? Think of it this way: the more clothes you get rid of, the more space you have for new clothes! You could even start this process early and sell them to other students to make a few bucks in the process, or give them to Goodwill. And this doesn’t have to stop with your closet either. If you have textbooks laying around that you know you will never need again, look into selling them—to other students, your bookstore, Amazon, whatever. This means less stuff to haul for you, and also a bit of extra coffee money. Win win, right? Here’s a 10 step guide from StyleCaster to help you decide when to get rid of clothes. So don’t be lazy (no matter how tempting it is) and get organized with your packing; future you will thank you for it. Good luck with your finals, and happy packing!